If you have already looked through the Koh Samui rental ads on our website, you have probably noticed that there is a huge range of prices. 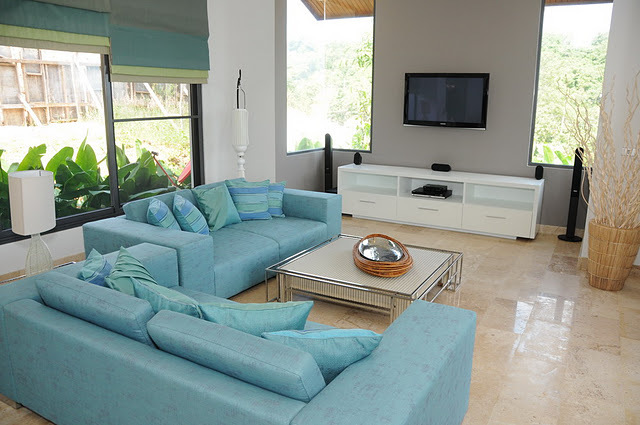 This is why we have decided to review the different categories of villas for rent on Koh Samui. We hope that our little guide will help you to understand how much you need to pay and what you will get for that money. Take the description of the most expensive villas of the first category and change the phrase "simultaneously meet ALL of the following criteria" into "may meet some of the following requirements". 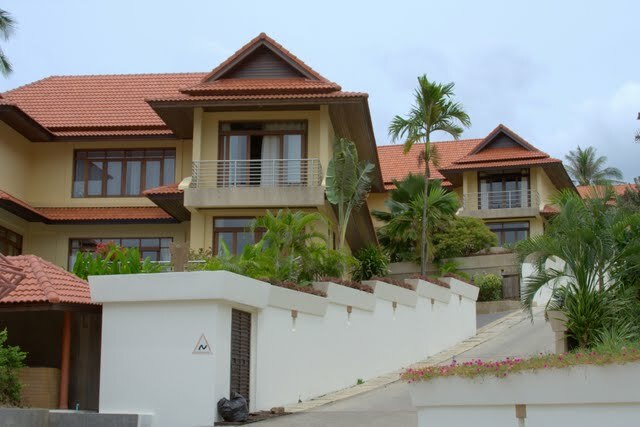 In reality, these are often excellent villas with 2 to 3 bedrooms located off the coast, featuring a smaller pool. The basic difference in comparison with the 1st category villas is that the furniture and design are simpler, and there are no bonuses as billiard tables, cinema halls and tennis courts. Chef services and massage are also not included in the price. Finally, service staff are usually only on hand for several hours per day. 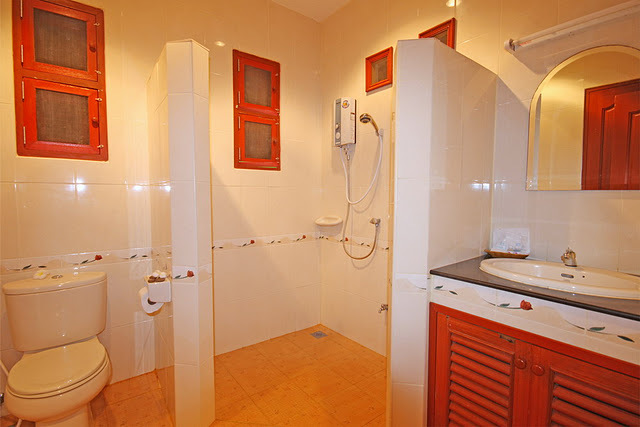 If a nice bathroom is important for you, perhaps you will not like this category of accommodation. Often, the bathtub is absent and there is only a shower with a direct-flow water heater. Also, the monthly rent typically does not include payment for electricity, water, cleaning and sometimes the Internet. Thus, utilities are all additional costs. Our catalogue features villas in this price category (daily rentals) which meet all the parameters of the more expensive options. 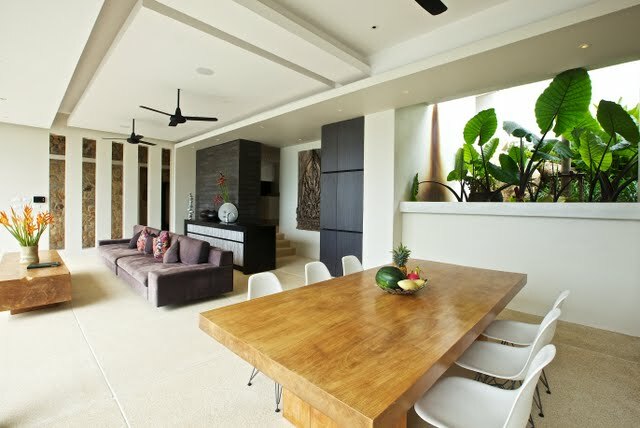 Owners of this range of houses in Samui are usually Thai people, which can affect the overall appearance and furnishings. There is no private pool, yet there may be a public swimming pool in the resort. Living conditions are simple enough and the furniture is often not new. There can be some problems with the Internet even when it is declared as an available extra. You will also have to use personal or hired transport to reach the island’s decent beaches. These houses are usually only open for long-term rent (a month or more), and extras such as electricity, water, cleaning services and the Internet (if it is available) have to be paid separately. 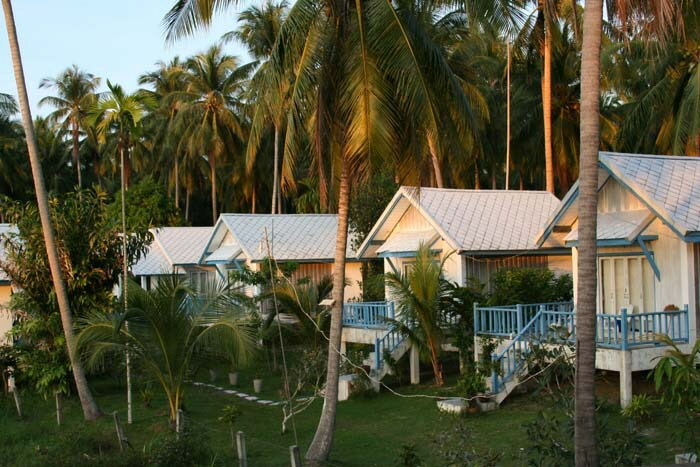 This is a good option for backpackers and budget tourists, and encompasses the same features as the above Thai-style homes but with less convenience. These houses have only the most essential items. Instead of a kitchen there is only a little portable cooker. These bungalows will also only have a bedroom and bathroom. There are no luxuries such as having a private pool or easy access to a decent beach. Often, there is also no Internet and no air-conditioning. 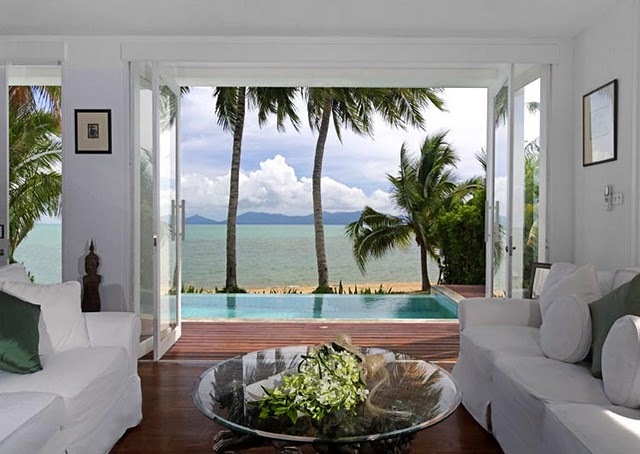 We do not offer property in this category, but you can rent it for yourself after your arrival on Koh Samui. Important! The following information concerns absolutely all property categories. If a house is near a beach, its price will be 1.5 times as much as all similar options which are further inland (where transport is necessary). If there is a good comfortable beach with a swimmable sea nearby, the house will cost twice as much. Thus for accessibility to the coast, you may have to sacrifice the comfort level of your dwelling unless you pay a bit extra. Keep in mind that rental fees for villas in Koh Samui increase by 30% on average during the Christmas and New Year holidays.